As Director of Product Marketing, Aufdemberg oversees the development, management, and execution of the Freightliner Trucks integrated marketing strategy. Responsibilities include managing business sales tools, promotions, training, and industry events, as well as brand communications and interactive initiatives. Prior to her current role, Aufdemberg served as manager, Center for Education and Marketing at Thomas Built Buses, Inc., a Daimler Trucks North America company. There, she was responsible for marketing communications and training activities. Aufdemberg, who has been with Daimler for nearly 10 years, has also held management positions with Daimler Truck Financial. Aufdemberg has a bachelor’s degree in marketing from the University of Illinois at Champaign-Urbana, and an MBA in international marketing and finance from DePaul University. She is a member of Women in Trucking. 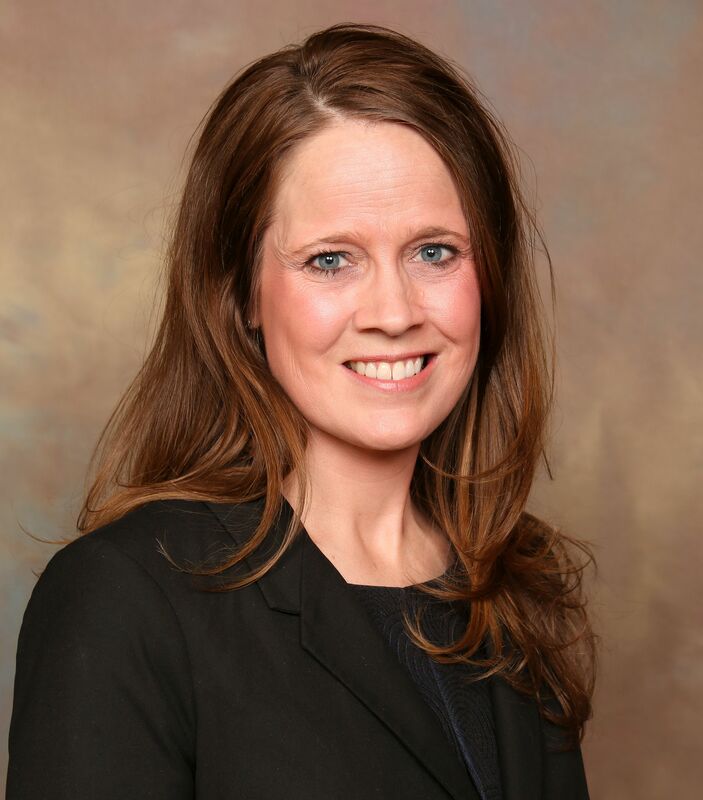 Rachel Christensen is responsible for managing intermodal capacity needs and service performance throughout the entire J.B. Hunt Intermodal network, consisting of 5,500 trucks and 85,000 company owned containers. She started her career with J.B. Hunt in 2008 and has held various positions in the Intermodal division managing a variety of local and regional fleets. Prior to relocating to the corporate office in 2016, she was the Director of Intermodal Operations in Chicago, IL where she oversaw the day to day operations of the largest local fleet in J.B. Hunt’s intermodal segment with more than 700 drivers servicing the Chicago metro area. She currently serves as an advisor to J.B. Hunt’s Women Employee Resource Group, GROW. In her free time she enjoys staying active, traveling and as a Chicago native, rooting on her home teams from afar. Shaver's career has been spent supporting long-term growth and expansion of the transportation industry while reinforcing its best resource – Professional Truck Drivers! Prior to joining NTI (the truckload industry subject matter experts on company driver and owner operator compensation history, changes, and benchmarks), she spent 14 years with a Midwest-based multi-platform truckload carrier. During her tenure there, she served on the Executive Committee and held numerous positions in Driver Recruiting and Human Resources. She specialized in driver selection, hiring, development, wellness, and retention, as well as developing, implementing, and managing an award-winning driver mentoring program for new drivers. In her current role, Shaver oversees development of all business operations within The National Transportation Institute and also serves on the Executive Committee. NTI provides original economic research on company driver and owner operator compensation history and changes to carriers, insurers, consultants, publishers, shippers, and nearly every equity analyst who follow transportation sector stocks. NTI’s largest subscriber base remains in the transportation sector’s for-hire and truckload fleets, widely used as a tool for fleet executives to understand the direction and velocity of the Class A CDL market wages and emerging pay strategies. Shaver frequently speaks to industry executives and organizations about driver compensation and strategy as it relates to driver recruiting, retention, and expansion of the driver candidate pool, serves on the board of the Women In Trucking Association, and volunteers in her community. She and her husband live in Minnesota and have worked together for over a decade. Mary (Clark) Brown is currently a General Manager at C.H. Robinson, one of the world’s largest logistics companies. She started her career at American Backhaulers after she graduated from Indiana University in 1994. She was hired as a sales representative and was promoted to general manager in September 1997. As a general manager, she is responsible for assisting in hiring new employees, providing training and education, analyzing and monitoring branch productivity and performance metrics, as well as overall branch performance. As a female manager in the transportation industry, Brown is asked by other women to help guide them with their careers. Recently she participated as a panel member in a Leadership Networking Circle organized by a C.H. Robinson human resources team. In 2009, she joined the National Association of Professional Women and connects with women from different organizations and share best business practices. She was raised in a suburb of Chicago and currently lives in Chicago with her husband, Adam and two children, Nicole and Patrick. Kate is a regional key account manager at Bendix Commercial Vehicle Systems LLC, a member of the Munich, Germany-based Knorr-Bremse Group. Kate started her career at Bendix in 1998 and has held positions in engineering, product management and sales. Over her 20 year career in the trucking industry she has participated in industry organizations including the Society of Automotive Engineers and Technology & Maintenance Council. As Kate designed products or managed new product launches, her attention and focus was always centered on taking care of the customer. In her role as regional key account manager, Kate is able to use a combination of her technical background, industry experience and customer focus as well as her knowledge of Bendix products and processes to support the Bendix business at Navistar Inc.
Kate holds a Bachelor of Science degree in Electrical and Computer Engineering from The Ohio State University and a Masters of Engineering from Case Western Reserve University. She and her husband live in Avon, Ohio with their eight children. BMO Transportation Finance is located in Irving, Texas, and serves all aspects of the U.S. transportation industry, including Manufacturer, Dealer and End User with a product offering that includes wholesale, retail and leasing. Dietze originally is from Papillion, Neb., and graduated from the University of Nebraska with a B.S. Degree in Agriculture Economics. He began his career with the Associates in 1985 (acquired by Citigroup in 2000) and held a number of positions within the business including operations, risk and sales prior to moving into his current Senior Management position in September of 2011. His exposure into various parts of the business has provided him an in-depth knowledge of the entire transportation supply chain and has positioned Dietze as a true expert in the industry. He and his wife Bonnie have two children, Kevin and Leann. He enjoys time with his family, golfing and keeping track of Nebraska football. A native of Savannah, Ga., Fuller has more than 15 years experience in advertising, marketing, and communications. She is responsible for global marketing strategy and initiatives that include advertising, marketing, public relations, internal communications, integrated campaigns, interactive and social marketing, and community relations. She is also the steward of the company’s brand, leading activities that serve to protect the value of the Great Dane name and image. Fuller has held various positions of increasing responsibility in the Advertising and Marketing department during her 15 years with the company, including Director of Advertising and Industry Relations. At the age of 31, she became the first female executive in the company’s history. Fuller is active in organizations both within and outside the transportation industry, and is a board member of the Savannah Speech and Hearing Center. A graduate of Georgia Southern University, she has a BBA in Economics with emphasis in International Business. She and her husband live in Savannah and have three children. J. J. Keller & Associates is a $220 million family-owned business providing solutions to assist organizations with safety & regulatory compliance and risk management. As a third-generation family member, she has held a number of strategic positions in market development, market research, strategy, and business planning, and most recently as a member of the executive team. In her current role as President & CEO, Keller-Krikava is responsible for working with the executive leadership team to motivate, guide, and lead a high performance organization – maximizing growth and profits in line with the vision, mission, and values. The role is focused on maximizing the organization’s operating performance and achieving its corporate financial and strategic goals while fostering an environment of accountability, excellence, collaboration, and innovation. In addition to her own personal philanthropy, she is a board member in the J. J. Keller Foundation, which combined with funds housed at the Community Foundation has gifted over $40 million. LaBree became a professional truck driver in 2006. She is an independent owner-operator of Castle Transport LLC, and has been leased to Landstar since June of 2014. She has been a team driver with her husband, Del, for all of her career. They run JIT (just in time) freight and are able to be home most weekends. LaBree has been instrumental in growing and managing the WIT Facebook group that has over 11,000 active members. In 2016, she became a member of the WIT Image Team, a group comprised of individuals who represent the WIT mission and participate in ride-along events for legislators, regulators, and industry leaders to provide a deeper understanding of the obstacles they face on the road. They also speak to the media and other industry professionals at public events and industry trade shows. Most has been with Walmart Stores for 16 years and has led a variety of high performing teams in Supply Chain Management, Global Transportation, and Private Fleet Operations. In his current role, he has responsibility for all Walmart Private Fleet drivers, transportation offices, truck shops and Regional Operations Centers (ROCs) in the Eastern U.S. supporting Transportation operations for Walmart.com, import, apparel, grocery, and general merchandise deliveries to Walmart and Sam’s Club retail operations. The private fleet of over 7,200 drivers, 6,000 tractors, 53,500 trailers and 5,600 refrigerated trailers travel approximately 700 million miles each year, and did it as one of America’s safest private fleets. Walmart drivers deliver more than products to the stores. They ensure that Walmart's mission of "Every Day Low Prices" reaches its customers and communities. Most has also lead global teams of diverse associates who used global leverage to create long-term logistics strategies supporting more than $10 billion in direct import volume from more than 50 sourcing origins for all International markets. He was responsible for the Global Logistics teams in Bentonville, Arkansas and Shenzhen, China including Regional Logistics teams in India, Dubai, Bangladesh, and Pakistan. Additional responsibilities include the Jones Act Trade team that services the Alaska, Hawaii, and Puerto Rico markets. He lives in Rogers, Ark., with his wife Robin and their two daughters. Murphy was appointed Vice President of the Business-to-Business Marketing Organization of Michelin North America, Inc. in January 2018. From 2014 to 2017, he served as Vice President of Marketing for the Michelin Americas Truck Tires division of Michelin North America, Inc. Prior to that role, he led Michelin’s marketing team in Canada as Marketing Director from 2012 to 2014. Murphy also served in a variety of operational and strategic marketing roles within the Michelin Americas Small Tires division from 2000 to 2012, after spending his first four years with the company in the sales organization of Michelin Americas Small Tires. He holds a Bachelor of Science Degree in Business Administration from Furman University in Grenville, SC. 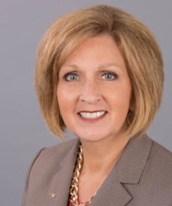 Delores Lail is the Senior Vice President of Sales for Ryder, Fleet Management Solutions, East Region. She is responsible for all aspects of sales and sales leadership in the East with 150 Directors and Sales professionals on her team. Delores has held a series of increasingly expanding positions in sales and operations during her 35 year career. She was inducted into Ryder Rental Masters in 1991 and recently served as a Board Member. Delores is active in Ryder’s Women Leadership Association and serves as an executive sponsor. She is a member of Ryder’s Diversity Council. In 2016 she was a recipient of the Florida Diversity Council’s Most Powerful and Influential Women’s Award. Jim has nearly 30 years’ experience in the transportation industry and joined Arrow in 1991. In 1998, Arrow Truck Sales was acquired by The Volvo Group. At that time, Jim joined Arrow’s Executive Committee to support the transition to the new ownership group while continuing to maintain Arrow’s position as a leader in remarketing used trucks and trailers to North America. He has been a co-owner of a used truck dealership in Nashville, TN and has held a variety of positions with Arrow including, Retail Sales, Sales Manager, Branch Manager, Director of Purchasing/Wholesale, and Director of Sales - Eastern Region, which included Arrow’s Canadian operations. As Regional Vice-President, Jim oversees sales and operations of the retail division. Jim was instrumental in developing a specially designed Partnership Program called Arrow PRIME that connects fleets with drivers who are looking to lease on with a quality carrier. Jim graduated in 1976 from St. Ambrose University in Davenport, Iowa and resides in Overland Park, KS with his wife Markee for more than 40 years. He has three children and enjoys spending time with his two grandchildren. Jim is an avid tennis player who continues to compete on a national level at his age grouping. Jason Williams is the co-founder and President of Expediter Services, LLC in Memphis, TN. Since 2006, Expediter Services has led the expediting industry in providing unique services and opportunities for independent contractors and owner-operators. Starting from scratch, the ES team grew a fleet of over 150 trucks by creating more profitable solutions for individuals looking to drive without having to purchase a truck. In 2010, Expediter Services expanded to meet the needs of owner-operators. ES's management arm, Expediter Management Services provides back office support, discounts, and 24 hour assistance for owner-operators and fleet owners, ensuring that they “Never Stand Alone”. Today, Williams is the President of the entire ES family of companies, which has grown to include Expediter Truck Sales and Expediter Equipment Finance, that provides individualized solutions for people and companies who have a desire to start a new effort and grow or stabilize an existing company. While servicing and growing Owner operators, Jason and the ES team became aware of specific issues that were faced by certain groups within the industry which led them to reach out to Women In Trucking, and they look forward to a long relationship providing opportunities to women in the trucking industry.